Lower Cost: Buying a pre-owned Mazda can save you thousands on your new car purchase, especially with our low down payment programs. Thorough Inspection: Certified Pre-owned vehicles are given a 160-point inspection and reconditioned to the highest standard. Warranty Protection: Qualified Mazda CPO vehicles come with a 7-year/100,000-mile limited powertrain warranty. Mazda Extended Confidence: Extend the remainder of your CPO vehicle’s new-vehicle warranty with an additional 12-months/12,000-mile warranty extension. Competitive Financing: Get lower payments with our competitive financing options. Roadside Assistance: 24/7 Roadside assistance protects you from facing unforeseen issues alone. AutoCheck: A complimentary vehicle history report lets you see into your vehicle’s service past. Thanks to Mazda’s comprehensive program, buying a used car for your next Mesa outing has never been more affordable, convenient, or hassle-free. 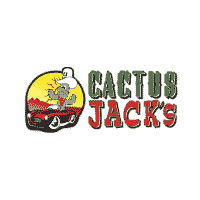 Contact Cactus Jack’s Automotive today to schedule a Tucson test drive of your favorite trim and see why.